We are extremely proud that our company is filled with enthusiastic and talented people. 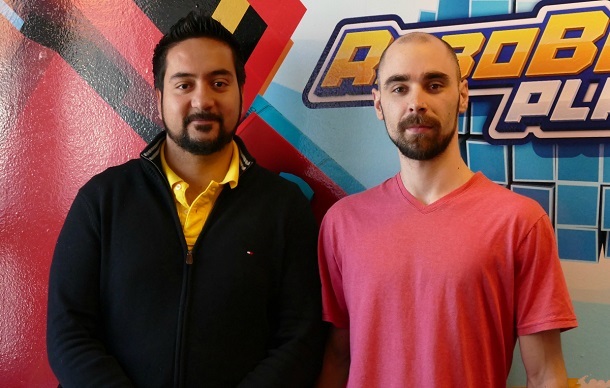 On Friday, April 1st, our principal programmer Javier Abud & game developer Ramiro Bazan from team RoboBlastPlanet presented some of the technical feats that they’ve been able to achieve so far at the Flash Online Conference #13. The Flash Online Conference showcases the latest technology, frameworks and roadmap for the Adobe AIR and its Stage3D abstraction of OpenGL/DirectX. The conference is organized by Sergey Gonchar and is hosted online so that anyone interested can take part to it. You can hear the presentation here, starting from 2:33. The RoboBlastPlanet team presented a number of technical details such as how profiling is used to improve performance, the hot reloading of assets for improved efficiency and some memory saving techniques that the have been used to significantly reduce the memory footprint of the game. See the slides from the presentation below! Growing Games: Strategy! Planning! Oh my!